We’re often asked what type of life insurance makes the most sense for a given situation or need. In general, our approach is to recommend term life insurance for needs that are time-bound, and cash value or permanent insurance for those that aren’t. Time-bound needs are the most common life insurance situations. For example, if a client is concerned about a potential loss of income for their family during the years they’re earning income, which would have a major impact on their dependents, we’ll recommend term life insurance for that period. Similarly, if a business owner is concerned about having enough capital to buy out a partner’s interest in the event of that partner’s passing, we’ll recommend term life insurance to cover the period the partners expect to be in business together, which is usually not an indefinite timeframe. Life insurance can be an important part of many estate planning strategies, which typically don’t have a definite “end date” in mind. For example, if life insurance is being used to “equalize” what each heir receives if the intent is to pass on a business or property to only one of the heirs, the plan won’t take effect until the owner of the business or property passes away — and obviously that date can’t be predicted. This makes permanent or cash value life insurance the better choice. The estate plan must also account for the possibility that the business/property owner will live past their life expectancy. The reality is that most term life insurance policies can’t be carried after the insured turns 70 or 80 years old, and for those that can, the cost of $1 of term life insurance at age 90 (for example) starts to approach $1. That would make it prohibitively expensive to maintain term insurance, no matter how inexpensive it is in the early years of owning it. Some of our clients find that after exhausting every tax-favored strategy for retirement saving (e.g., 401(k) contributions and IRA contributions) and covering their current needs for income and shorter-term savings objectives, they still have funds available to save for retirement. One obvious strategy is to save those funds in an investment account, understanding that capital gains taxes will be paid on the gains when the funds are accessed. But a less obvious strategy is to use cash value life insurance as a vehicle for accumulating retirement assets. 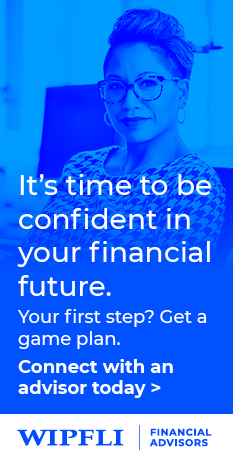 Using a specially designed life insurance product where the cash values can be invested in “separate accounts” — essentially, mutual funds managed for use in these products — it’s possible to accumulate retirement funds in an investment portfolio similar to that of a 401(k) plan or managed portfolio, with no tax on the growth. In retirement, the policy owner can access the cash value by borrowing against the policy, with the loan repaid at death by the policy’s death benefit. With appropriate policy design and management, the life insurance policy can provide tax-free growth and income, much like a Roth IRA. But this strategy is not without risk. After the policy owner borrows against the policy in retirement, its cash value might be consumed by the cost of insurance charges, and the policy may ultimately lapse. In that event, the gain accumulated in the policy cash value is taxable as ordinary income. To avoid that possibility, insurance companies have developed “overloan protection” riders, which freeze a policy once its cash value has been borrowed out. The Pension Protection Act of 2006 cleared the way for “combination” life and long-term care insurance products. They are unique in that for a particular annual or single premium, they provide a death benefit as well as a long-term care insurance benefit up to — and sometimes greater than — the death benefit. If the entire death benefit is not paid out as long-term care insurance during the insured’s lifetime, the residual amount is paid as a policy death benefit. Many investors favor these combination products when planning for long-term care needs in retirement because they ensure that the policy owner or their named beneficiaries receive some benefit. That’s in contrast to traditional long-term care insurance, where premiums could be paid for decades, but the policy pays no benefit if the insured passes away without needing long-term care. As with any important financial decision, you’ll want to consider the use of cash value life insurance with your financial planner, who will help you compare your alternatives and the impact they may have on your financial plan. To learn more about term and cash value life insurance and which would best serve your needs, contact one of our advisors.